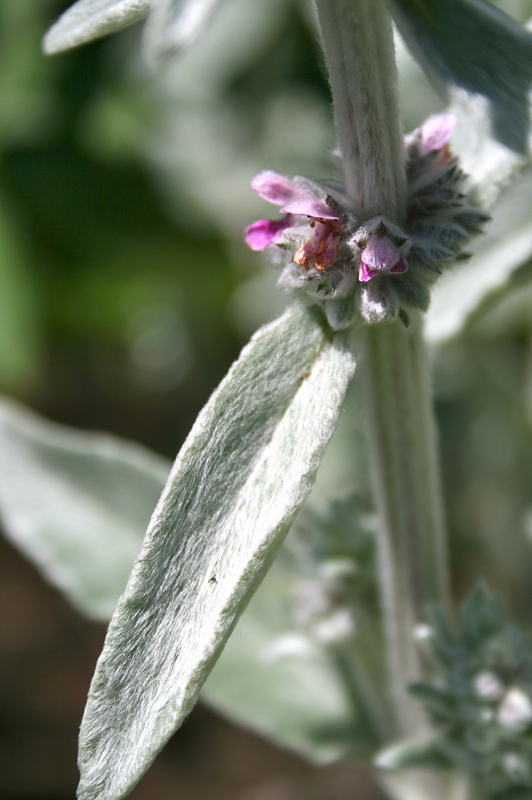 With leaves the shape, size, and plushness of Lamb’s Ears (Stachys byzantina), one look at this plant and it’s obvious how it got its name. It is native to Northern Turkey, the Southern Caucasus Mountain region and Southern Iran where it grows on rocky hills and scrubby areas. In other words, it is a weed. 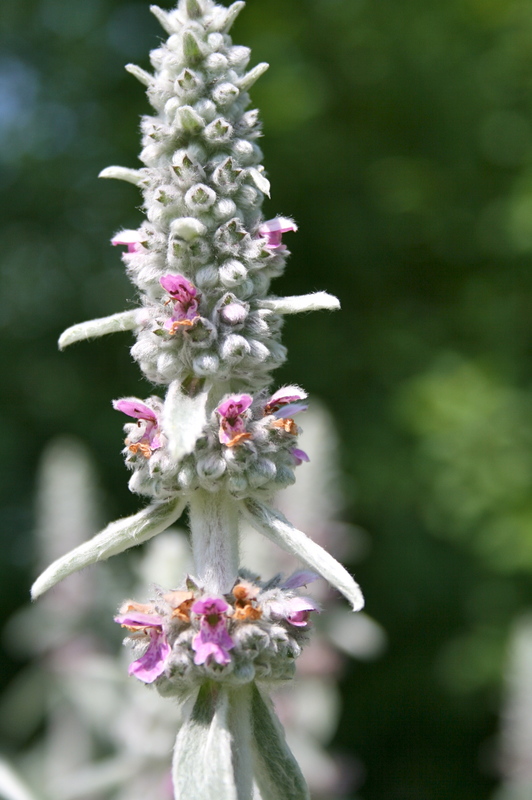 I have a little bit of Lambs Ears in almost all of my gardens. It is the hardy little guy that likes to spread its seeds around if you don’t cut back the flowers. I know quite a lot of gardeners choose to cut the flowers off letting the plant send all its energy into the foliage, which is as soft as it looks. I let the flowers open because the bees love the magenta flowers tucked at the top. Bees just can’t stay away from these guys. Every time I took a picture the fat Bumble bees were photo hogging. They do best in full sun. The batch that I have in partial shade thrives, but doesn’t bloom as much or as early. It really doesn’t tolerate wet feet. If your garden is soggy your plants will yellow and rot. If you have a sunny well draining spot be ready to have to divide and remove from your garden in the spring and/or fall. 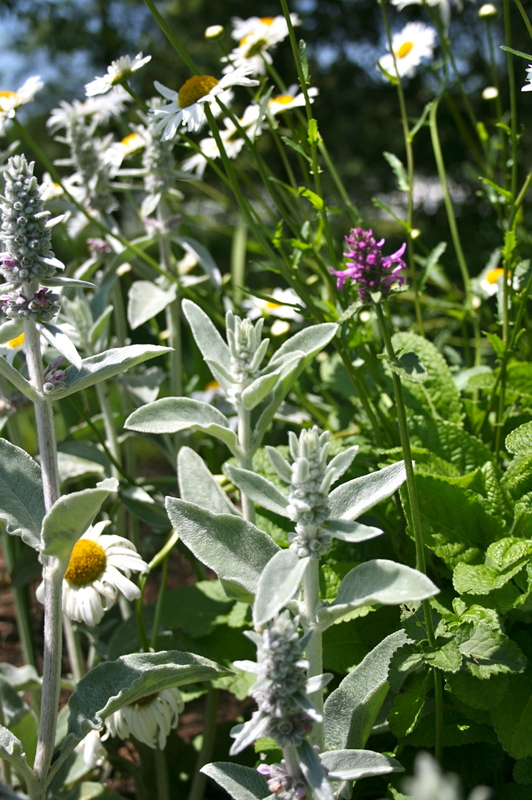 Aside from deadheading, Lamb’s Ears require very little maintenance. The lower foliage can become brown and tattered looking later on the season and will look better with some clean up. Another bonus to Lamb’s Ears is its ability to blend in with almost any other perennial. I have mine next to verbenas, roses, daisies, coneflower, phlox and foxglove. With its silver foliage, it does an excellent job of showcasing the flowers growing beside it in the garden. 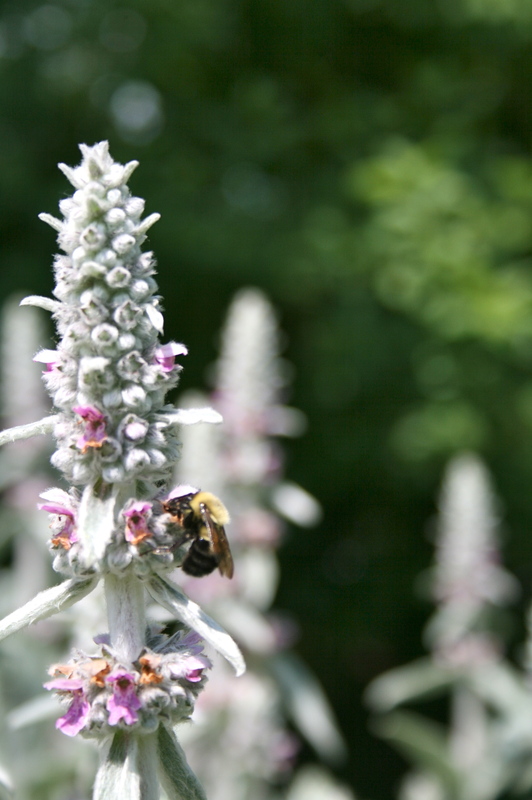 Lamb’s Ears foliage has been used as bandages for wounds and reputedly reduces the pain of bee stings because according to its history the plant is very useful as an astringent. You can also cut flower heads to dry and be used in floral arrangements, wreaths, and potpourris.